Opening day of the NBA postseason was no time to be home. Not home for the summer. Home for a game. Only the Golden State Warriors managed to win there Saturday in a rough day for the higher seeds. Both No. 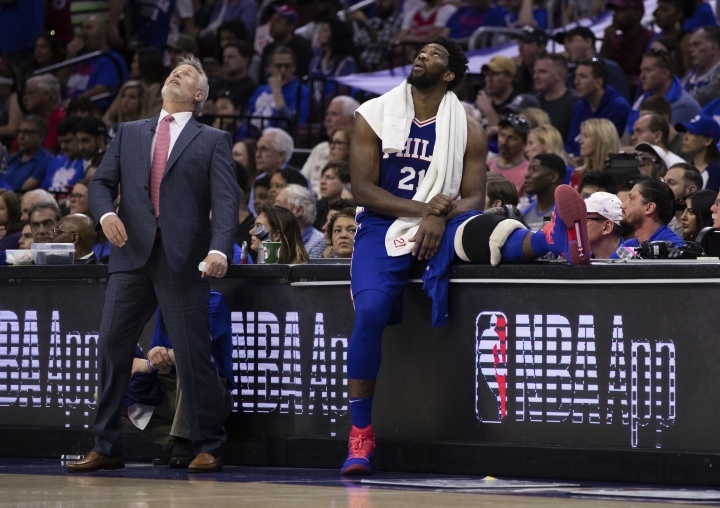 2s lost, and the Brooklyn Nets won the game and the crowd in Philadelphia, where home fans turned on the third-seeded 76ers during an ugly performance. 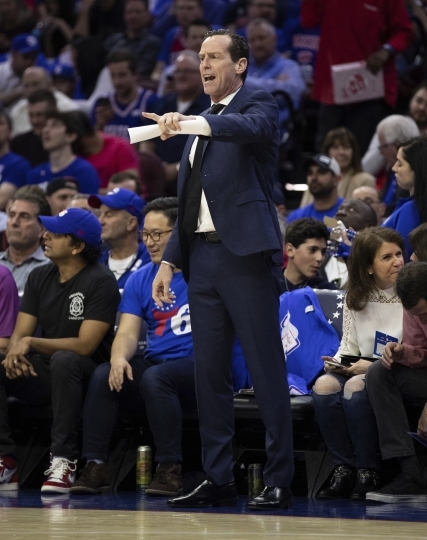 The 76ers will try to straighten things out when they host Game 2 on Monday, and the Warriors will try for more smooth sailing against the Clippers at Oracle Arena in the only other game scheduled. The Nets got the surprises started right from the very first game of the postseason when they beat the 76ers 111-102. Things couldn't have gone much worse for the Sixers, who couldn't quiet Brooklyn's guards or their own fans. The booing started early and grew stronger as the game went on, with Philadelphia All-Star Ben Simmons critical of the fans after being held to nine points while counterpart D'Angelo Russell had 26. "We know that Game 2 will definitely be a lot harder for us," Nets guard Caris LeVert said. "We're ready for the challenge." Toronto was edged by Orlando, and Denver went down to San Antonio. 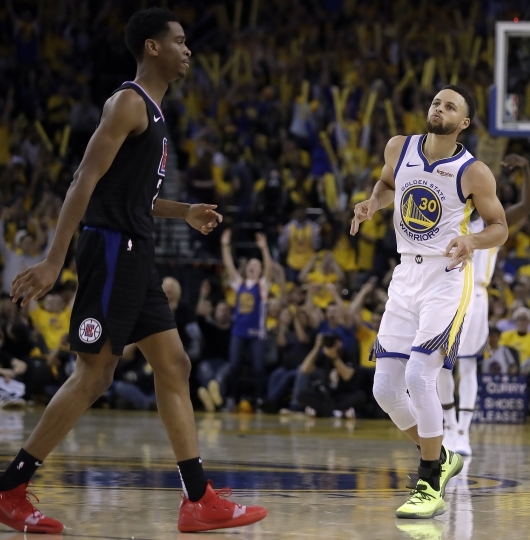 But the Warriors made sure their home-court advantage didn't go to waste by beating the Clippers 121-104, getting their offense rolling early and keeping it going. "Every game is different too," Stephen Curry said, "so who knows what will happen Game 2 and beyond." Nets at 76ers, Brooklyn leads 1-0. Game 2, 8 p.m. EDT, TNT. NEED TO KNOW: The Nets will be trying for their first 2-0 lead in a series since going up 2-0 against the New York Knicks en route to a first-round sweep in 2004. KEEP AN EYE ON: The benches. Philadelphia may have one of the best starting fives in the NBA, but there's going to be an awful lot of pressure on the starters if the bench gets blown out as badly as in Game 1, when the Nets' reserves had a 59-28 scoring advantage. INJURY UPDATE: Joel Embiid is listed as questionable after he was doubtful on the eve of Game 1 with his sore knee. Nets veterans Ed Davis (sprained right ankle) and Jared Dudley (tight right calf) are being listed as questionable, though Davis said he expected to play after finishing with 12 points and 16 rebounds in the opener. PRESSURE IS ON: Simmons. Maybe he doesn't need to outplay high school teammate Russell, but the 76ers probably can't afford for LeVert (23 points) and Spencer Dinwiddie (18) to outplay him, too. Clippers at Warriors, Golden State leads 1-0. Game 2, 10:30 p.m. EDT, TNT. NEED TO KNOW: Patrick Beverley and Kevin Durant insisted after their ejections in Game 1 they were just having fun and trash-talking in the heat of the playoffs. 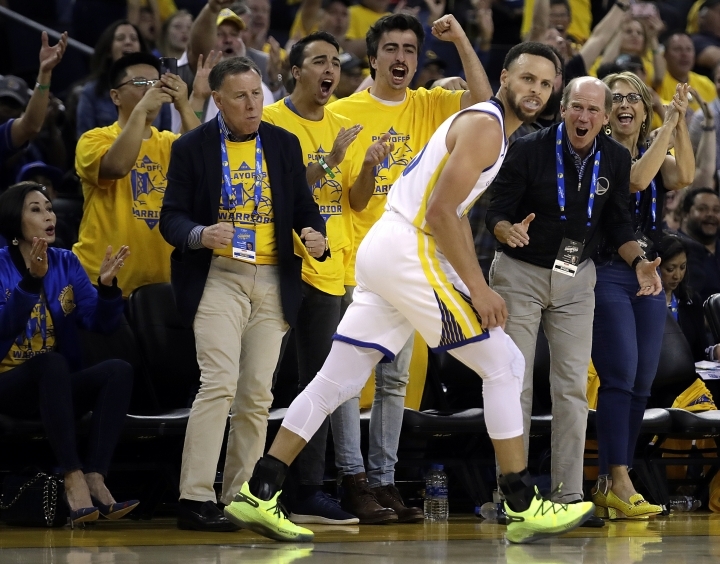 Whether those high emotions spill into Game 2 will be something to monitor considering if the two-time defending champion Warriors make a deep run again, Durant already has two technicals with seven bringing on an automatic suspension. "Nah, I can control myself," Durant said, unconcerned. The officials heard their share of arguing from both sides. "I thought the ejection was too quick, especially being playoff basketball," Clippers guard Lou Williams said. "Everybody knows what Pat brings to the table and the type of competitor that he is. It might have went quick because of the back and forth they had right before that, but I thought it was quick. I think both guys were competing, and that was it." KEEP AN EYE ON: The Warriors blocked 14 shots in Game 1, getting three each by Durant, Klay Thompson and Andre Iguodala. That was their most all season and tied a franchise playoff high also done on April 27, 1989, at Utah in the first round. COUSINS' NEXT CHANCE: DeMarcus Cousins fouled out of his playoff debut after a nine-year wait, so the big man will be looking to bounce back from a disappointing playoff opener in which he had nine points, nine rebounds and four assists. He returned Jan. 18 against the Clippers after a nearly yearlong absence recovering from a torn left Achilles tendon that required surgery while he was with New Orleans. "I don't need to say anything to DeMarcus. It was a frustrating night for him, fouling out, a couple tough calls," coach Steve Kerr said. "But it was important for him to get his feet wet and feel the playoffs, feel the energy, and I have no doubt he'll come back and play a lot better in Game 2."